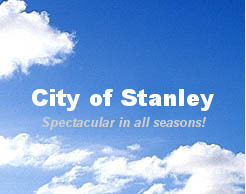 WELCOME to the City of Stanley's website. If you are a resident of Stanley, I encourage you to use this website as a resource to stay in touch with your city government. If you are a visitor to our area, welcome, and this website may provide you valuable information to enhance your experiences in the Sawtooth valley and surrounding wilderness areas. ​​Stanley is right on the path of the eclipse and will be enjoying the experience of a total solar eclipse. The city has limited parking and most lodging is already sold out. Parking in Stanley is further restricted for the event; click to see the map. We are surrounded by National Forest Service lands that provide good viewing locations. Here is a link to a map that shows areas that will be prepared to accomodate visitors with a safe place to stop and view the eclipse. See map. ​Given the large numbers of people visiting the area for the eclipse and the associated heavy traffic on our two lane roads through the forests, we want to minimize the probability of wildfires in the area. Please do not plan to make a campfire when visiting Stanley and vicinity on August 21 and the days prior and after. The USFS is also taking action to minimize the probability of wildfires by implementing Stage 1 Fire Restrictions beginning August 14, 2017. ​I want to remind all residents and visitors to Stanley of the snow hazards in town. Our city snow removal contractor does his best to pile snow where it is least bothersome. Nontheless the large piles create obstacles at corners on the city streets that require extra caution to be sure you can see the traffic in the intersecting street before entering the intersection. The piles themselves can also be temptation for young kids who might want to climb and tunnel into the "mountains". Please do not let them do this, and advise them of the danger, because subsequent passes of snow removal piling more snow onto the piles could bury them or destabilize the pile. Please remind your children not to play on the snow piles on the city streets. Thank you. W​inter snow removal can also be a challenge when we get some storms with lots of accumulation. Remember that you cannot push or dump snow from your property onto the city street or state highway rights of way. You must pile snow removed from areas of your property someplace on your own property or have the snow hauled away at your expense. The city street drainage swales and other areas adjacent to the streets are NOT to be used for the disposal of your snow. The city also has a challenge in finding enough areas for disposal of snow from the city streets. The drainage swales cannot be packed with snow as it can cause flooding, or road washouts during the spring thaw and consequent run-off. Certain areas are designated by the city for the use of our winter roads contractor for snow storage so that he knows where he can pile snow. Those areas are not to be used by residents which would deminish the area available to the city. We have had a lot of complaints during the busy summer months about trash being dumped in dumpsters that belong to others. The Forest Service, because of people from Stanley filling the dumpster, has removed the dumpster from the Tourist Information / Rest Area just south of town on highway 75. We have also had complaints of people dumping their trash in the dumpster at the Community Building or in dumpsters pertaining to local businesses. The city does NOT provide a trash disposal service for the residents of Stanley. The city does provide trash receptacles in the park for the convenience of those who picnic or recreate in the park. The city also has a dumpster by the community building which is only for trash from the city office, the trash receptacles in front of or inside the SSCC visitor center, and community building or park renters for meeting or events. The control of that dumpster is the responsibility of our city maintenance employee and the city police officer. As a business or resident in Stanley, you are reminded that you have only a couple of alternatives for proper trash disposal: 1. Take your trash to the Custer County Transfer Station just west of town on highway 21, between 10:00 AM and 4:00 PM on Saturdays. 2. Contract with either of the trash collection services that serve Stanley, Blue Mountain Refuse Inc. or Clear Creek Disposal to pick up and remove your trash from your home or place of business. I will be asking the Forest Service to please put the dumpster back at the Tourist Information / Rest Area so that we do not have new issues with trash left in the area, on the ground, for lack of a receptacle. 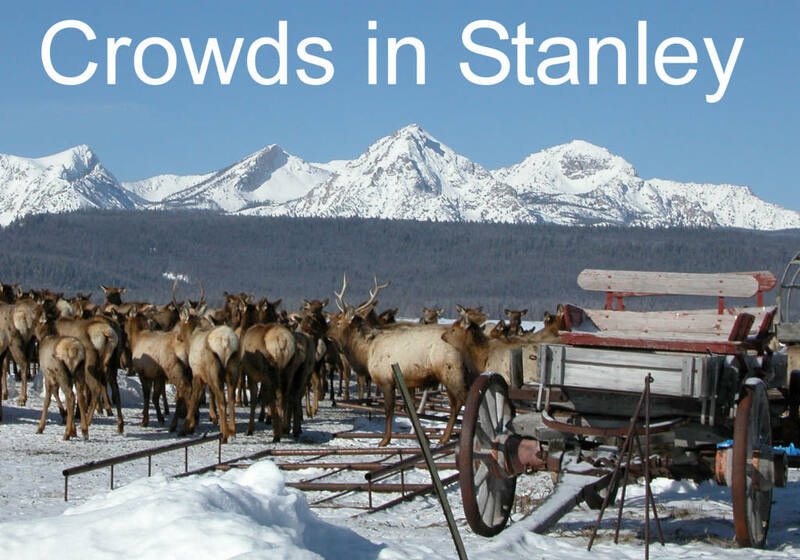 We ask for the cooperation of the residents and business of Stanley to dispose of their trash properly, so that we can get and keep the Forest Service's cooperation in helping with trash left by tourists passing through and stopping at the Information/Rest Area. Anyone wishing to reserve the Community Building or Pioneer Park for this summer should inquire about dates as soon as possible to insure availability. The Halstead Fire is now over, but before you forget the scare that it gave our community, do what you can to encourage logging and especially controlled burns (fuels management) to preclude another disastrous fire in our neighborhood. The Sawtooth National Forest needs substantial work to change it from something just waiting for a spark to create the next fire disaster, to something which would be much more manageable and Iron Creek and Redfish Lake structures much more defensible. Let the U.S. Forest Service and your elected representatives know you these actions in the SNRA right now, to prevent or mitigate the next pending fire disaster. Old playground equipment in the city park has been replaced with new, safe, and fun playground equipment that our Stanley school kids helped select. Let Amy Klingler know you appreciate her initiative to get this project going and see it through. If you would like to contribute to this worthy cause you will be pleased to know that the donation should be tax deductible. Many thank to all those volunteers who turned out to complete the installation on August 25. It was great to see the community volunteer spirit alive and well. Special thanks also to Joe Lamb, Scott Elison, Russel Clark, and J.C. Anderson who volunteered time and equipment to make a huge difference in the heavy work. There are many more to thank. We will be updating this acknowledgement to recognize more of the people that made the weekend a success. THE PLAYGROUND IS IN! Go see it if you haven't already. MILESTONE: Thanks to our hard working city council members, former mayor Hannah Stauts, and concerned citizens that worked diligently to issue the SMC Flood Protection Ordinance, Stanley can now participate in the National Flood Insurance Program (NFIP). Since July 13, 2010, the City of Stanley is eligible to participate in the Regular Phase of the NFIP. What happened to the Sawtooth Music Festival? Please click here to find out. **Please see "Employment Opportunities" page for information on any current Requests for Proposals (RFP).